Corruption—Central Government holding 85% equity shares by way of non-redeemable shares in a co-operative society—Employees of such cooperative society would come within definition of public servant. Comments Off on Corruption—Central Government holding 85% equity shares by way of non-redeemable shares in a co-operative society—Employees of such cooperative society would come within definition of public servant. Corruption-‘Sanction for Prosecution is a pre-condition for ordering investigation against a public servant under Section 156(3) ofCr.P.C. even at pre-cognizance stage. Comments Off on Corruption-‘Sanction for Prosecution is a pre-condition for ordering investigation against a public servant under Section 156(3) ofCr.P.C. even at pre-cognizance stage. Corruption—Acquittal—It was not satisfactorily proved that how the currency notes reached in the pocket of accused. Comments Off on Corruption—Acquittal—It was not satisfactorily proved that how the currency notes reached in the pocket of accused. Pardon to Accomplice—Magistrate is duly empowered to grant tender of pardon even in respect of the cases which are triable by the Session Court or by the Special Judge. 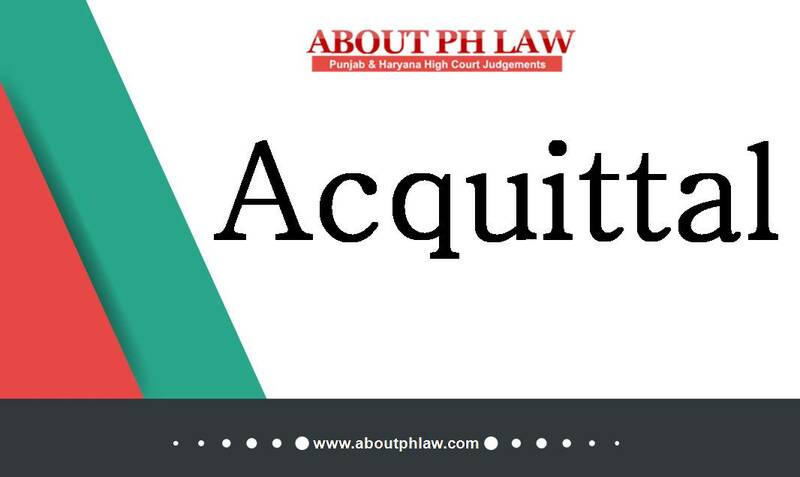 Comments Off on Pardon to Accomplice—Magistrate is duly empowered to grant tender of pardon even in respect of the cases which are triable by the Session Court or by the Special Judge.